I apologize for not writing more this week but I’ve been busy with work and have just been exhausted by the time I get home, due to the fact we have another conference this weekend so I’ve been helping to get ready for that. Once home, I have either wanted to do one of my two latest guilty pleasures (LOTR online or the TV show The Vampire Diaries). I finally got horses for both my characters and I bought a house, so been decorating that, plus it’s LOTR’s 5th Anniversary so they’re giving away all kinds of free things in game (like the horse I won for my female human character). I also have a male dwarf. I noticed The Vampire Diaries a couple weeks ago at the library and decided to give it a try after I found out I can watch the first two seasons on Netflix. Just finished Season 1 and I’m hooked. Yes, it is pretty much what would happen if Twilight and True Blood had a baby, but I still like all the twists and turns in it. Meanwhile back in the real world, I’ve been having trouble focusing on books lately. I’m doing great with audiobooks, whizzing through the first three books of The Ranger’s Apprentice series by John Flanagan. I am currently about to start the fourth book. I’m stuck on the book I’m supposed to be reviewing for the guy who sent me the free book (see this post for explanation), as I can’t decide if I like it or not. I picked up a copy of Emma, Volume 9, the Victorian romance manga that I’ve been reading for a couple months now, so I have that to look forward to. I’ve also been trying to read more books to my son, as he has started babbling more. There’s lots of ba-ba, blah-blah, and ma-ma’s coming out these days but no words really, but it shouldn’t be long as quickly as he is growing and developing lately. Anyways, I figured since my Van Gogh post went over well, I would try to discuss art on Fridays. 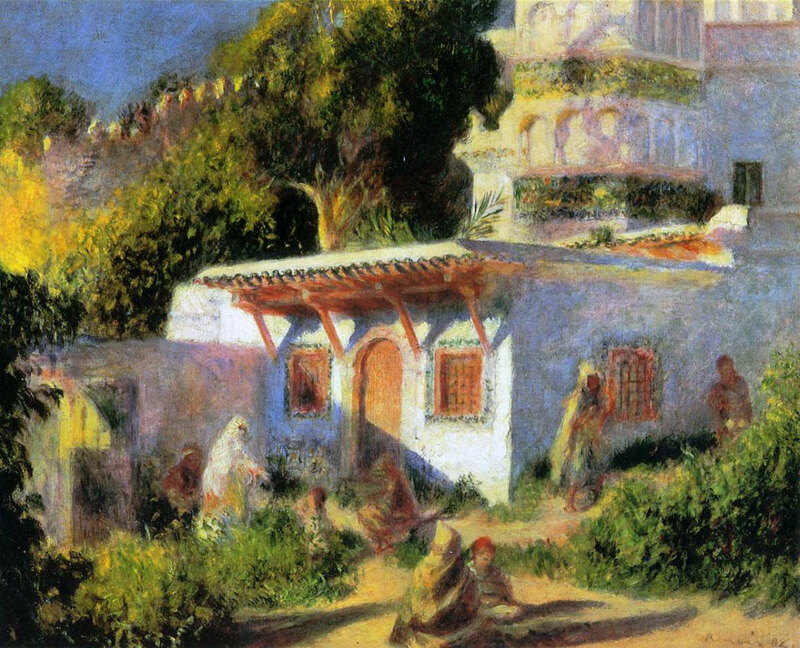 Following the Impressionist theme from the Van Gogh post, I wanted to discuss some more artists from that time period that I love. 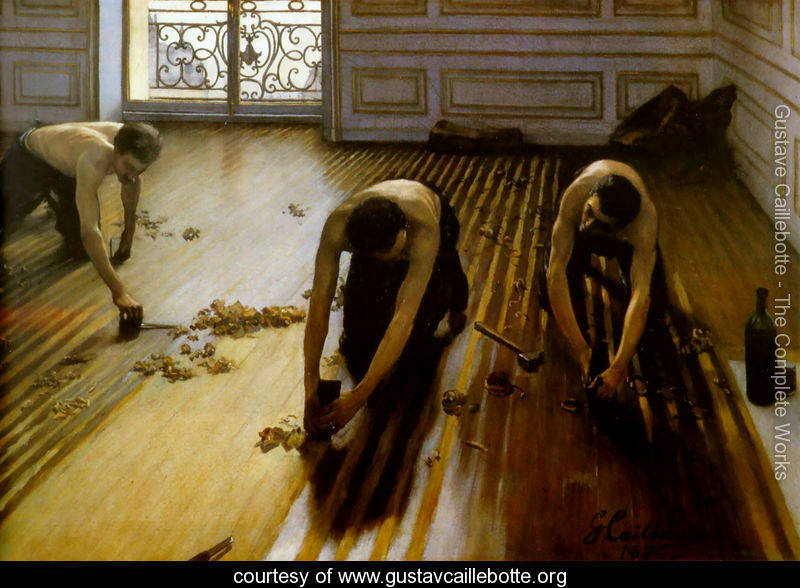 I took a class on Impressionism and the turn of the 20th Century art during my undergraduate career and I loved it! Most of the works I wanted to share are works I discovered during that class. When most people think of Monet, they think of The Water Lillies. I personally hate this piece because it is so overdone everywhere. The man lived a long time and he did paint other things, like this series of 31 paintings on the facade of Rouen Cathedral. Monet had a habit of doing multiple paintings of a single subject in the 1890s, such as haystacks or landscape views. 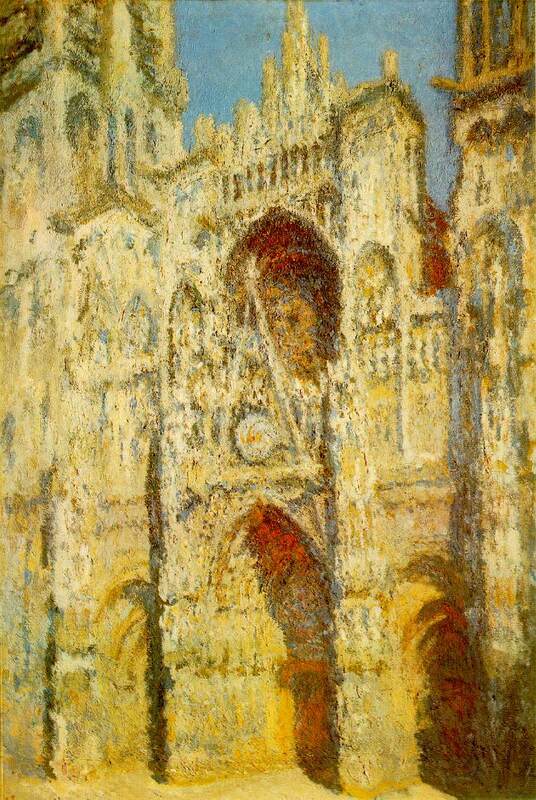 I have seen a couple of the Rouen Cathedral series in person, and they are gorgeous. He painted them at different times of day and you can see the contrast throughout the artwork. Another painter I really liked was Pierre-Auguste Renoir, but not the works usually associated with him, like Dance at Bougival or Luncheon of the Boating Party. I like the ones he did in his later life, all the Bathing portraits, which didn’t look like his regular Impressionistic style. The bodies are a little out of proportion, but I like that they are not the insanely skinny models we have today. They are real-sized women with curves. 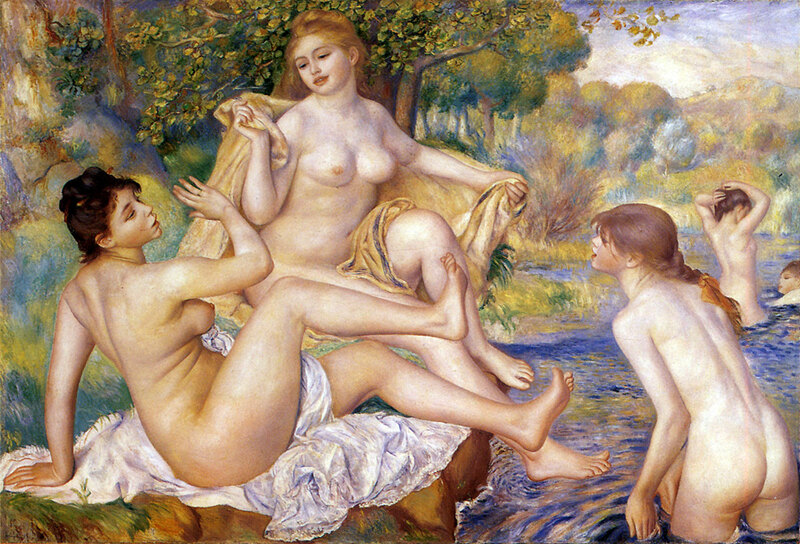 I will also include a Renoir that I found the other day and I loved the coloring of it. It looks happy. *Just wanted to give a quick shout-out and thank you to my 8 followers. Thanks for subscribing!